Bones and the Mongol diet Did conquering a continent change what they ate? 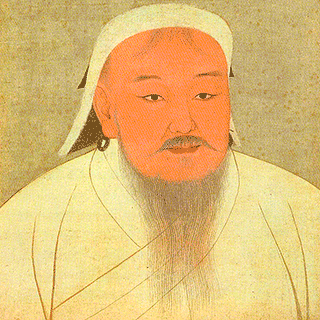 The question of what the Mongols under Genghis Khan actually ate, however, is really rather interesting. In particular, did conquering that vast empire change their diet in any way? Jack Fenner and his Mongolian colleagues Dashtseveg Tumen and Dorjpurev Khatanbaatar analysed bones from three different cemeteries, representing Mongol elites, Mongol commoners and Bronze-age people from the same area, looking for differences in what they ate. They found some, but interpretation remains difficult. I didn’t think to ask Jack about using a shield as a wok. Read Food fit for a Khan: stable isotope analysis of the elite Mongol Empire cemetery at Tavan Tolgoi, Mongolia if you have access to the Journal of Archaeological Science. There is also an accessible write-up at the Bones don’t lie website. I don’t plan to visit the Genghis Grill, although I’m happy enough to plunder their advertising copy. And to point out that the mighty warrior didn’t become Genghis Khan until the 13th century. Images from Michael Chu, Dave Gray and Wikimedia. Music by Chad Crouch, aka Podington Bear. This show is a week late; apologies. There’s a sort of explanation at my other website, which also provides hints of shows to come. Plus, an explanation of what Flattr is all about, and why I think you should flattr me and other content creators.